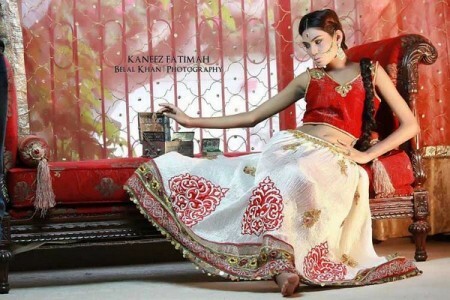 Kaneez Fatima is a newly established and quickly emerging fashion brand, which has been working in the fashion industry for last many years. This fashion brand started working in the fashion field in 2013 and it has prepared the dresses for the women and girls. This fashion house has prepared the dresses for the party, formal, semi formal and casual wear dresses and this fashion brand has designed the dresses in unique designs and styles. The fashion label has started the fashion collection of the dress in the changing environment. 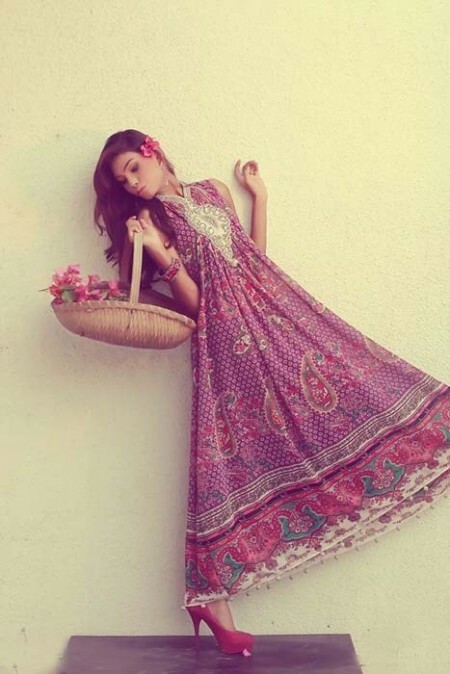 Now the fashion brand is going to release their latest and unique Kaneez Fatima Women Winter dresses 2014. The fashion designer has designed the unique and beautiful dress collections for the winter dresses 2014 and these dresses are great for the new changing season. in this stunning collection of the dresses, the long shirts, frocks and lehenagas are paired with the churidar pajamas and tights. The embroidery work is also carried out on the dresses in different designs and styles and the dresses are prepared in the purple, pink and red colors. All the dresses of this fashion collection are prepared for the party and formal wear and these winter dresses are also displayed in the photoshoot for the women and girls. Imran has done the makeup of the model of this fashion brand and Belal Khan has done the complete photography of the dresses. The pictures of the dresses being placed in the Kaneez Fatima winter dresses 2014 are added with this post. All the fashion lover women and girls can check the quality of the dresses of this fashion collection of dresses for 2014 and they can feel content with the quality of the dresses. The dresses of this fashion label are also present on all leading and well-known fabric stores of the city and these dresses are elegant and beautiful.